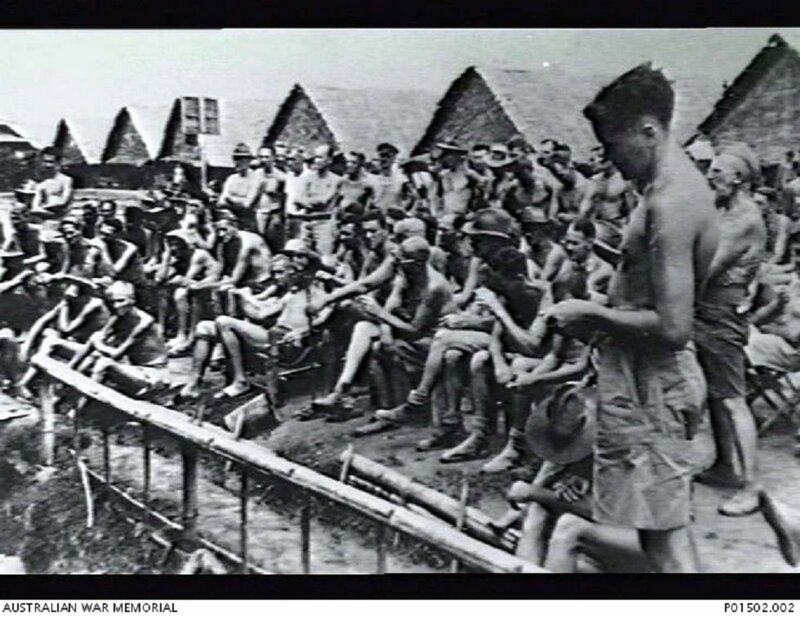 Australian and Dutch POWs gathered in front of attap huts in Kanburi Camp for a rare outdoor concert, 1944. Image courtesy of the Australian War Memorial. 1 June 1944 - 31 December 1944. 1 January - 31 March 1945. 1 March - 15 August 1945. 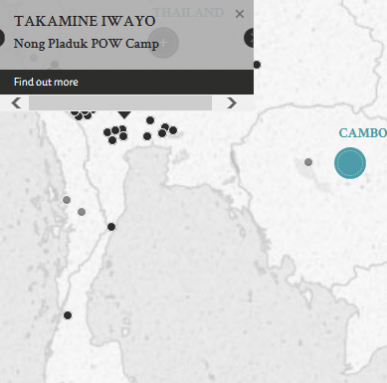 The defendant committed war crimes by ill-treating British POWs, by kicking, punching and beating them, causing physical suffering to the said POWs and in particular to Sergeant. C.W.J. Pratt, Private Barnet, and Daniel Farnworth. The defendant refused to give any evidence on oath or make a statement. He was said to have gained the nickname "efficiency". Takamine, Iwayo. Korean guard. From Japanese military. Guilty. 9 years' imprisonment. Sentence confirmed. Blacklock, E.N. Lieutenant Colonel. From British military. Court president. Solicitor. Fortescue, F.G. Major. From British military. Partington, D.W.M. Flight Lieutenant. From British military. Thomas, P.M. Major. From British military. Kinji, Sacki. Judge. Hiroshima District Court. Holland, E.L. Major. From British military.